There's an ATM in the basement that prints money for the British royal family only. 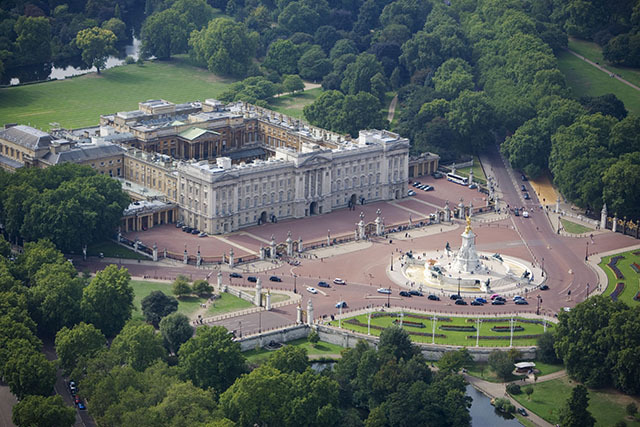 When you consider that the British monarchy has been in existence for thousands of years, Buckingham Palace is a relatively new addition to the royal family's portfolio of homes. 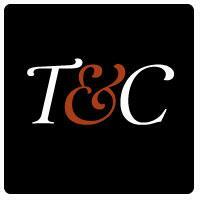 Its significance, however, is profound. Apart from being a beloved tourist attraction, the palace and its grounds serve as an important location for hosting ceremonies and handling political affairs in the U.K.
And while Buckingham Palace itself is a fixture of British culture, there are still many secrets about the palace and its rich history that few people know. 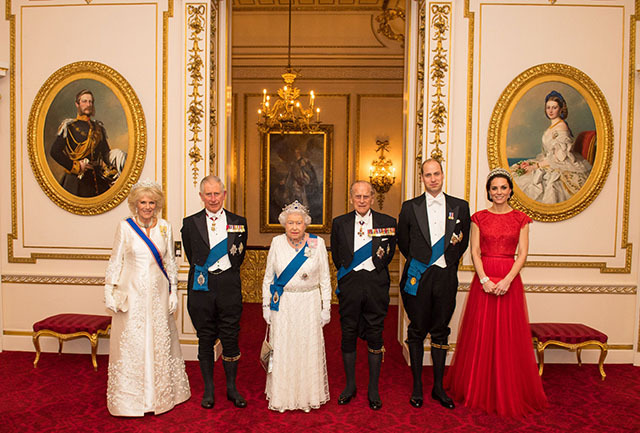 The royal residence has played host to some of the most significant moments in British history, including royal weddings and bombings during World War II. Today, the building is 830,000 square feet, has 775 rooms, including 52 royal and guest bedrooms, 188 staff bedrooms, 92 offices and 78 bathrooms, according to the royal website. From the ATM in the basement—that prints money for the British royal family only—to the beautiful 39-acre garden, Buckingham is certainly a place to be explored. 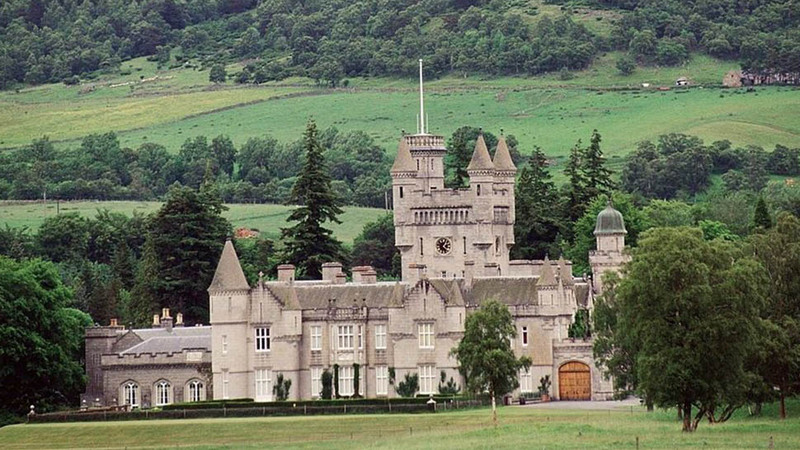 Here's a look at the history of this magnificent palace. Originally built in 1703 as Buckingham House for 3rd Earl of Mulgrave John Sheffield, Buckingham Palace has acted as a home and administrative headquarters for the royal family for hundreds of years. Before the palace was built, the King of England's official residence for more than 300 years—from 1531 to 1837—was at St. James' Place, just a quarter mile from Buckingham. Located in borough of London known as Westminster, the land on which the palace was built has been in the royal family for over 400 years and was originally marshland along the River Tyburn. 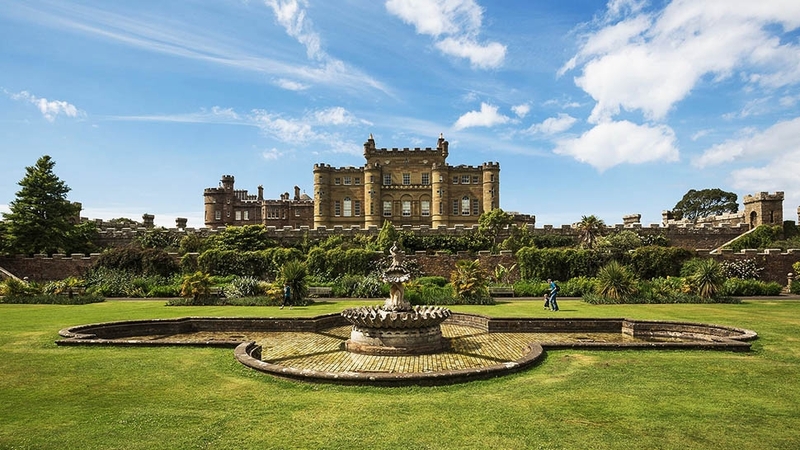 The plot was acquired by King James I and meant to serve as a garden for the royal family until John Sheffield bought the pre-existing house on the property in 1698, according to History.com. Sheffield later became the Duke of Buckingham, for which the palace was given its name. Sheffield later had the original house replaced by the structure that stands today. Buckingham House, as it was most commonly known, was designed and built by William Winde and John Fitch and completed in 1705. King George III then purchased the house from Sir Sheffield in 1761 to use as a home for his wife, Queen Charlotte, and their children. large U shape and expanded the building by adding west wings, as well as branches to the north and south. Nash is also responsible for the admirable arch once located in the royal courtyard and now in nearby Hyde Park. Following George IV's death in 1830, his brother William IV took the throne but chose to continue living at Clarence Palace during his reign. After William IV's death in 1837, his niece, Queen Victoria, became the first official royal to call Buckingham Palace home. To this day, Queen Elizabeth II uses the palace as a place for diplomatic meetings, celebrations, and a home for her family. 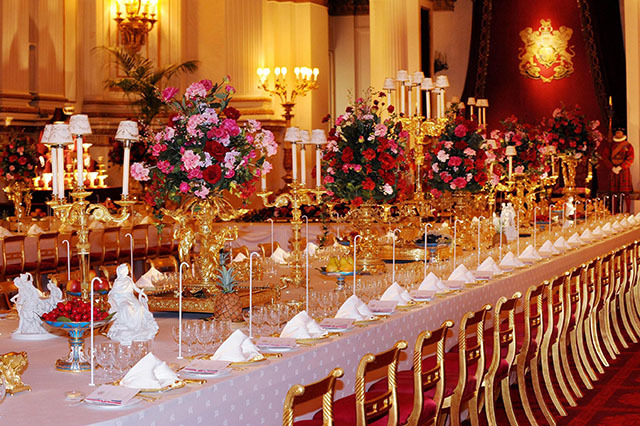 As one of the most prominent buildings in the history of the royal family, Buckingham hosts functions and ceremonies regularly. In 1851, for instance, Queen Victoria made her first public appearance on the balcony when she greeted the public during the celebration of the opening of the Great Exhibition, a showcase of international manufacturing. Since Queen Victoria's first appearance, standing on Buckingham's balcony has become something of a tradition for royal events. 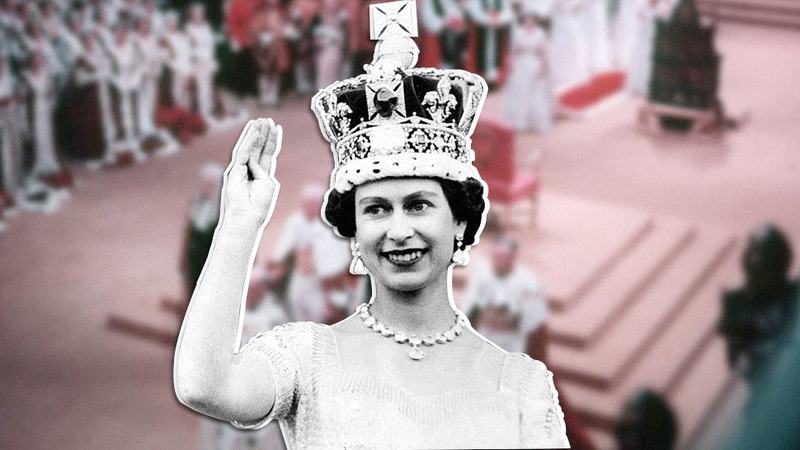 In 2002, Queen Elizabeth waved to the crowds from the balcony in celebration of her Golden Jubilee. In addition, some of Prince William's most famous wedding photos with the Duchess of Cambridge were taken on the balcony. Another tradition Buckingham Palace holds is the royal Changing the Guard ceremony, in which one regiment takes over for another. 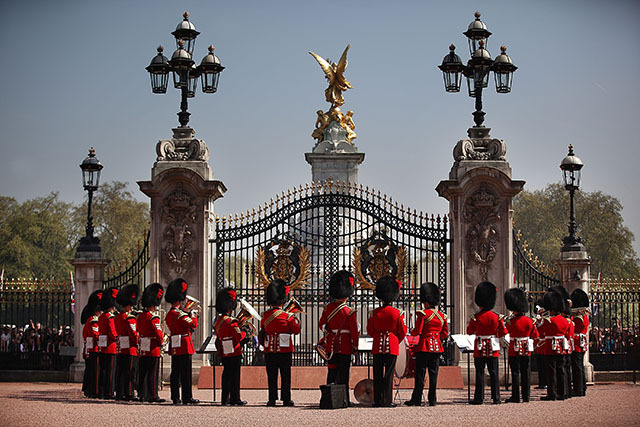 Per tradition, the New Guard march to Buckingham Palace from Wellington Barracks with musical accompaniment, thereby becoming the Queen's Guard during the course of the ceremony. Also known as "Guard Mounting," the tradition takes place at 11 a.m. every other day and daily during the summer. The schedule for the ceremony can be seen on the British Army website. 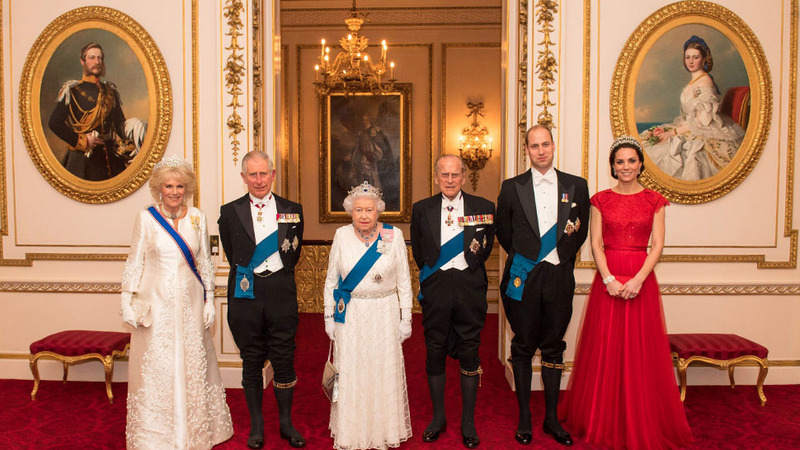 While these are only some of the traditions the palace holds, the house and grounds have seen many major historic moments over the years, making Buckingham one of the most influential and historic locations in the history of the British royal family. It isn't uncommon for visitors to England to find themselves curious about Buckingham Palace and what it has to offer. But the house itself isn't the only part of the grounds worth checking out. The royal garden at Buckingham Palace occupies 42 acres in the City of Westminster and includes features such as the Rose Garden, tennis court, and a three-acre lake. Also known as the Memorial Gardens, the flowerbeds at Buckingham are laid out in a semi-circular design and include such as exotic plants as scarlet geraniums, spider plants, and weeping figs. The garden also includes a mulberry tree that dates back to the time of James I of England (1567). In addition to a magnificent garden, the Buckingham grounds are also home to a royal museum with exhibits focusing on different eras of the monarchy. From Tea and Cake with King Charles I & Charles II to Royal Art: Execution and Restoration, the museum offers insider knowledge and glimpses at key aspects of the British royal family's history. After you tour the museum, you can also tour 19 rooms inside Buckingham Palace itself, open for 10 weeks each summer. The lavishly-decorated State Rooms include such historic locations as the Throne Rome, Picture Room, Ballroom, Grand Staircase, White Drawing Room, and more—all furnished with beloved treasures from the Royal Collection. Additionally, the Mall in front of Buckingham Palace is actually a road, rather than a shopping center, colored red to create the illusion of a large red carpet leading up to the palace itself. The Mall is flanked by trees on either side and is decorated with Union flags during state visits. Often crowded by the public during royal events, the Mall is intended for major national ceremonies, and scheduled buses are not allowed to use the Mall or go past Buckingham Palace except for permission of the monarch. Today, the palace is open to visitors from all over the world. 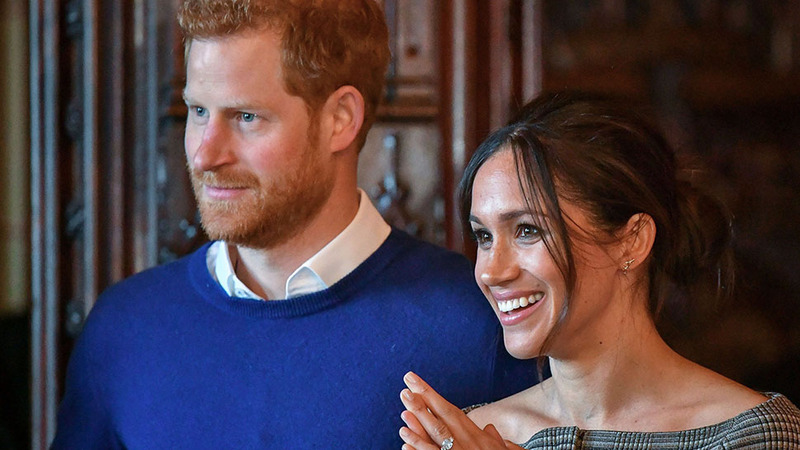 Unlike the Queen's private home at Sandringham—which is open year-round—Buckingham Palace is only open for a few months per year, so book your tickets as soon as possible if you plan to visit next year. For more information about what to see and do at Buckingham, head to the royal website here. 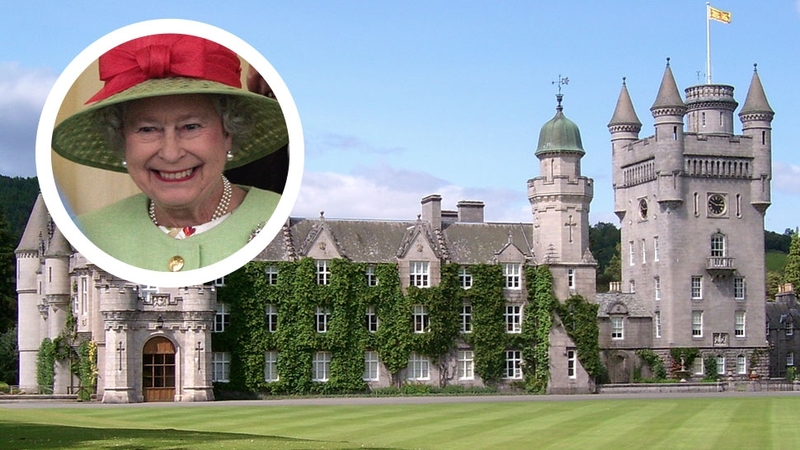 What Does Queen Elizabeth Do During Her Two-Month Vacation at Balmoral Castle?